The Old City of Luxembourg: its Old Quarters and Fortifications is located at the confluence of the Alzette and Pétrusse Rivers, on a very steep rocky outcrop which is somewhat of a natural fortification that only needed to be completed on the west side. Due to its exceptional strategic position, the City of Luxembourg was one of the largest fortresses of modern Europe which were constantly strengthened and reinforced as it passed successively into the hands of the great European powers. Originally, the City of Luxembourg comprised only a small fort (the castle) built shortly after the middle of the 10th century on an almost inaccessible rock. In the 12th century, the settlement that developed near the castle was protected by a stone fortification wall, which was extended in the 14th and 15th centuries. In 1443, the city was taken by the troops of Burgundy. Through inheritance, it passed to the Habsburgs and became Spanish until 1684. During this period, the site was transformed into a veritable fortress. After the conquest by King Louis XIV, Vauban extended and reinforced the fortifications. In the 18th century, the Austrians continued his work and created the “Gibraltar of the North”. After the Congress of Vienna, the Prussians created new military structures until the dismantling was decided in 1867. Following the Treaty of London in 1867, the majority of the fortifications were demolished but many vestiges representative of all these eras remain, of which a number of gates, forts, bastions, redoubts, and casemates. The city also retains the layout of its streets and many public buildings, an important testimony of its origins and its development since the 10th century. Inside and at the foot of the ramparts, quarters where people lived and engaged in trades or crafts developed. They also kept places of worship, such as the Church of St. Michel, now a veritable museum of sacred art, or the Church of St. Nicolas, subsequently transferred to the sanctuary of the Jesuits, the present cathedral. The ancient Abbey of Neumünster is a landmark in the borough of Grund. In the Upper Town, in the shadow of the walls, aristocratic families, and the major religious communities built their mansions called “shelters” to be close to the administrations and official institutions. The old quarters still bear the imprint of their former inhabitants and their activities. While not the smallest country in the world, Luxembourg is still pretty small, and there isn’t a whole lot to see. A day trip to Luxembourg would probably be enough to see the City of Luxembourg: its Old Quarters and Fortifications. It is one of the wealthiest countries in the world and one of the most expensive places I have visited in my travels. The Old City of Luxembourg was founded in the 10th century. Hence, it has had a long history of rulers and empires that wanted to establish their reign of the city and the country. For this reason, there have been many fortifications built over the city in an effort to defend it from intruders. Today, the remains of the City of Luxembourg: its Old Quarters and Fortifications remain for the tourists to marvel at and get a glimpse of its long-running history. Aside from the fortifications, there are also several ancient buildings and monuments that remain standing until today. The fortifications and other monuments in the old city of Luxembourg was named a UNESCO World Heritage Site in 1994. The city of Luxembourg is known to its tourists and visitors as a modern and cosmopolitan city that is lively and vibrant. However, the scars from its past remain to be evident all throughout the city. It provides a beautiful contrast of the modern and contemporary with the dark side of its storied past as evidenced by the many ancient structures and fortifications scattered throughout the old city. This scholarly mixture of both worlds is quite possibly one of the reasons why tourists have gotten curious about it. It is also part of what shaped the city of Luxembourg’s identity, as well as the rest of the country. The strategic position of Luxembourg between France and the Roman Empire, it serves as a cross-fire of activity in Europe (especially among more power nations). It is also one of the most fortified cities in Europe from the 16th to the 19th centuries. Every time the control of the city has handed over from one European power to the next, new fortifications and structures were formed in order to reinforce the existing structures. 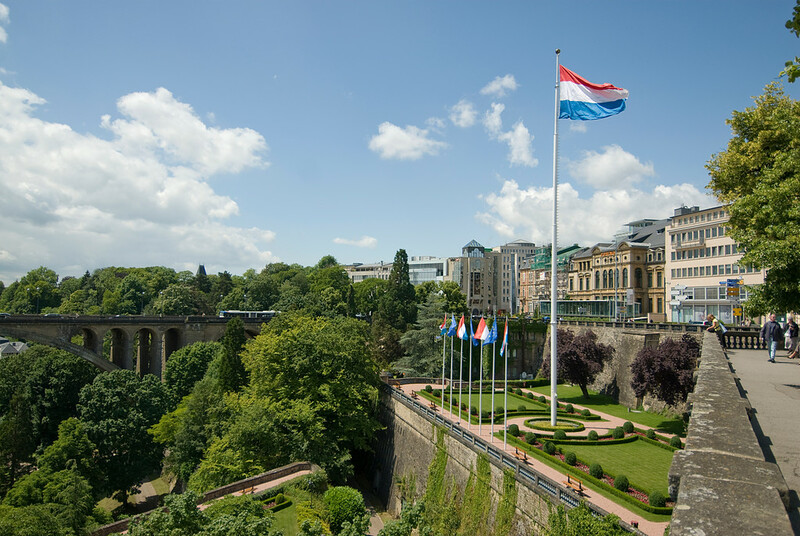 Today, the fortress of Luxembourg is one of the most important historical symbols in the city. 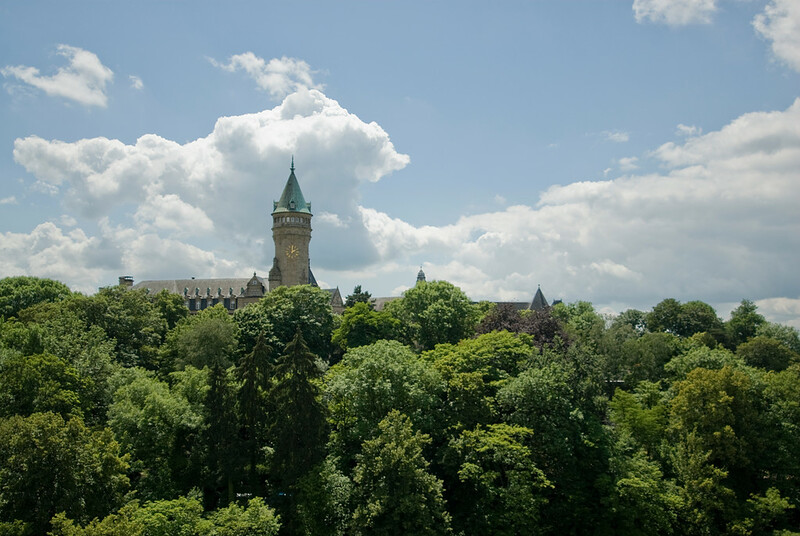 Until its partial demolition in the late 19th century, the fortreesses and other related structures belonging to the City of Luxembourg: Its Old Quarters and Fortifications served as the best example of military architecture in Europe for many centuries. As with any UNESCO World Heritage Property, the City of Luxembourg: its Old Quarters and Fortifications are facing threat from possible degradation. For structures that had been around for several centuries, it is all but natural that the structures would be under the threat of natural destruction and decay. Despite the many assaults that the city faced and went through from the 15th to the 19th centuries, it continues to be portrayed as a fortified city. The authenticity of many of the structures included within the World Heritage property is validated. In fact, many of the ancient buildings, museums, old quarters and other defensive structures have defined changes in their materials and shape except for the demolition in 1867. UNESCO is currently working with the Ministry of Culture in Luxembourg, along with the Department of National Sites and Monuments, in order to preserve what is left of the fortified city. 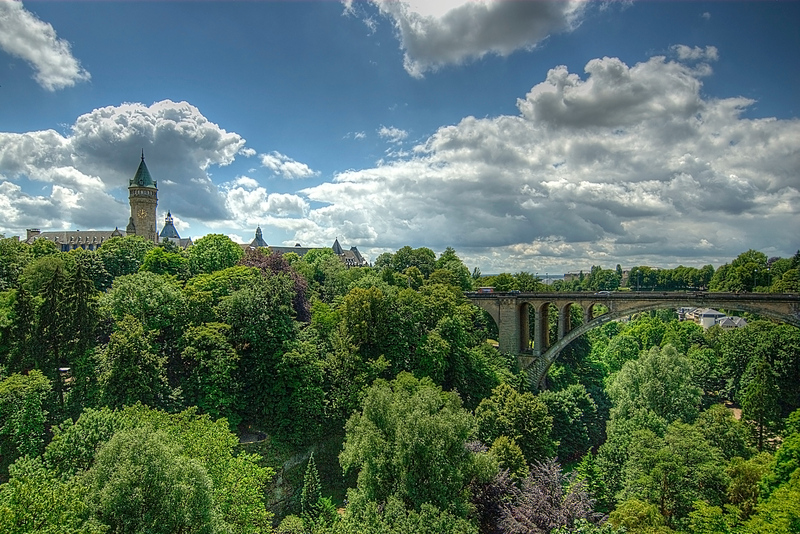 View the complete list of UNESCO World Heritage Sites in Luxembourg. There is definetly more to see in Luxembourg. Every single region has its own charm and they are all different from each other. You have plenty of castles in the northern part of the country and it’s great for mountainbiking. In the east you have the Mullerthal region with the oldest city of the country, Echternach, and it’s amazing for hiking, then further down the Moselle region where excellent white wine and sparkling wine is made and you can find roman remainings, and the south with it’s industrial heritage where you can discover old mines, a steam train and much more. You can easily spend a few more days and see so much more than just the capital city. It is a very green country with a great cultural offer. I’m in full agreement with Christine and travelgirl. There is a lot more to see in Luxembourg than the city. In addition to the beautiful places highlighted, my advice would be to get out the hiking boots and take go hiking on GR5. This is the long distance trail from the North Sea at the Hague to Nice. The section along by the Mosel through the vineyards is lovely. A great picture. I didn’t have the luxury of sun when i went there so my pictures are very grey. Although extremely expensive, as a lot of Europe is, i did find i liked Luxembourg, and spent a few days there. That photo is amazing! I am from Luxembourg and I would say that there is definitely more to see than just Luxembourg City. The north of the country has some interesting places, such as Vianden and Clervaux, and if you like hiking the Müllerthal is the place to go. Let me know if you ever come back to Luxembourg! Yes, it is expensive, the only places I have been to that are more expensive than Luxembourg are Switzerland and Scandinavia. That’s definitely an advantage of being from Luxembourg: in most countries, everything seems cheap to me! I’ve wanted to stop by Luxembourg when driving by it, but couldn’t find too much exciting that inspired me on their tourism website. It’s also one of the most difficult cities in which to find a free public toilet! I’ve been twice (once when I was ickle and once about 2 years ago) and the last time I saw two guys peeing in the street in broad daylight. Give that to use the loo in McD’s you have to a) buy something then b) pay a Euro, it’s hardly surprising.